The stage is now set for the 2017 ICCA Finals. After 42 Quarterfinal events, 9 Semifinal rounds and hundreds of hours of prep work by both event organizers and competing groups, 10 groups have earned a spot at the ICCA Finals. 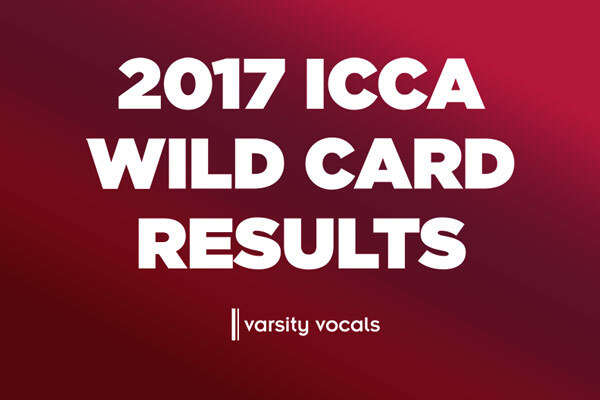 This past weekend, the ICCA Wild Card Judges convened to select the final group to earn a spot at the illustrious event in NYC. Groups who placed either second or third at a 2017 ICCA Semifinal event were invited to send in a video submission to be considered for a spot at Finals. After much deliberation, the judges have selected a winner. Your 2017 Wild Card Champs are....Amazin' Blue from the University of Michigan. Congratulations to all the groups. For more details on the Wild Card Results, visit here.